A well-rounded waterman, Dan’s passion revolves around the ocean. Whether surfing, gliding down a steep tropical wall, free dive spear fishing, or hoisting the main sail- Dan is happiest in the water. Growing up with parents that loved to dive got Dan into the water at an early age- taking the plunge off the coast of Malaysia before hitting double digits. He graduated from the University of California, Santa Barbara with a Bachelors of Science degree in Hydrology, and from there chased Kristy around California. 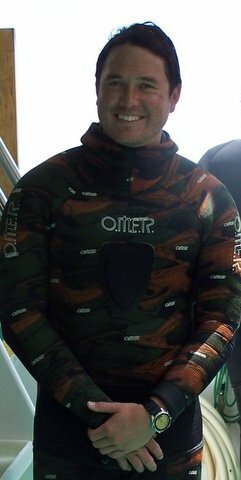 Dan also holds a US Coast Guard Captain’s License and NAUI Dive Master with over 1000 dives. Comfortable driving down dusty Baja roads or spending weeks on a live-aboard in the South Pacific, Dan is a seasoned world traveler. Even so, some of his favorite diving is located in his Californian home around the Monterey Bay and Channel Islands. An avid big animal fan, nothing gets his heart pumping more than big pelagic fish and sharks out in the blue!